It's time to be thinking about back to school and I've got a sweet way to let your kids teachers know how much you appreciate them throughout the year. 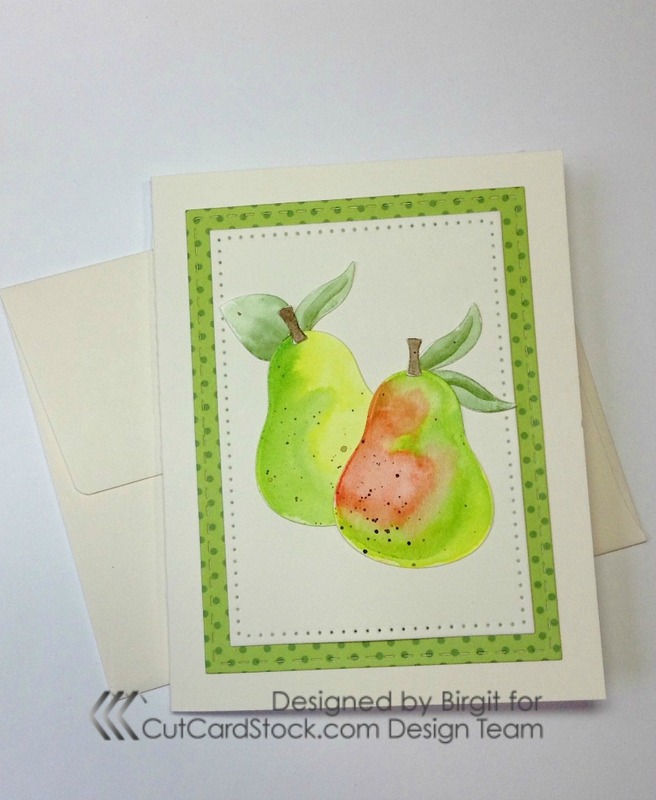 Here's a set of water colored note cards that can be used any time to share your appreciation. 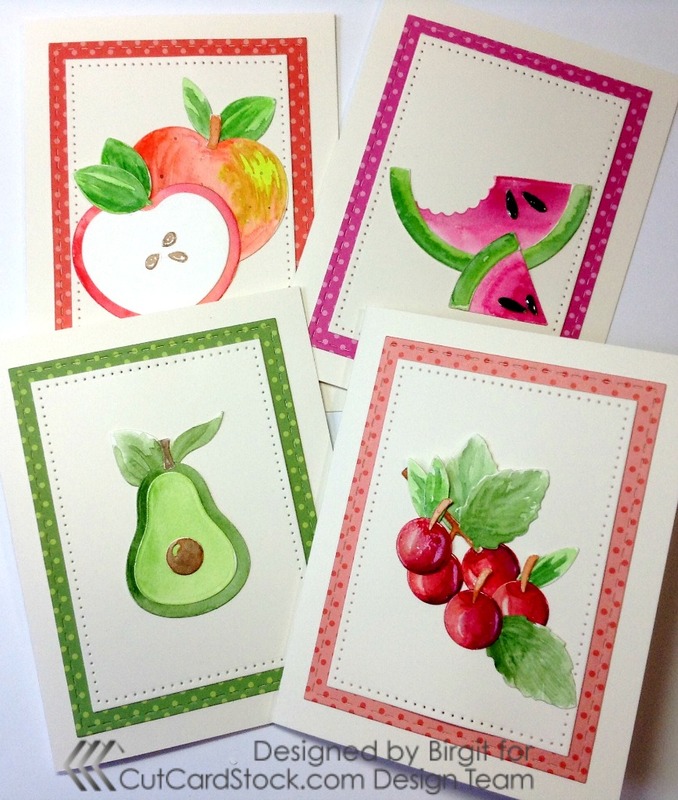 And they're not just for teachers! 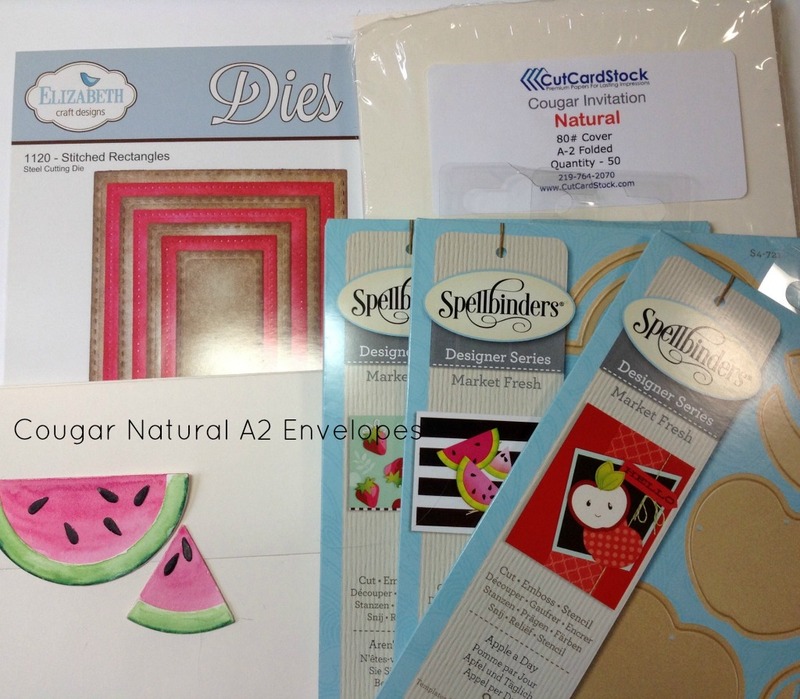 There's a big sale going on all month long for the month of August on all white and ivory colored cardstocks. 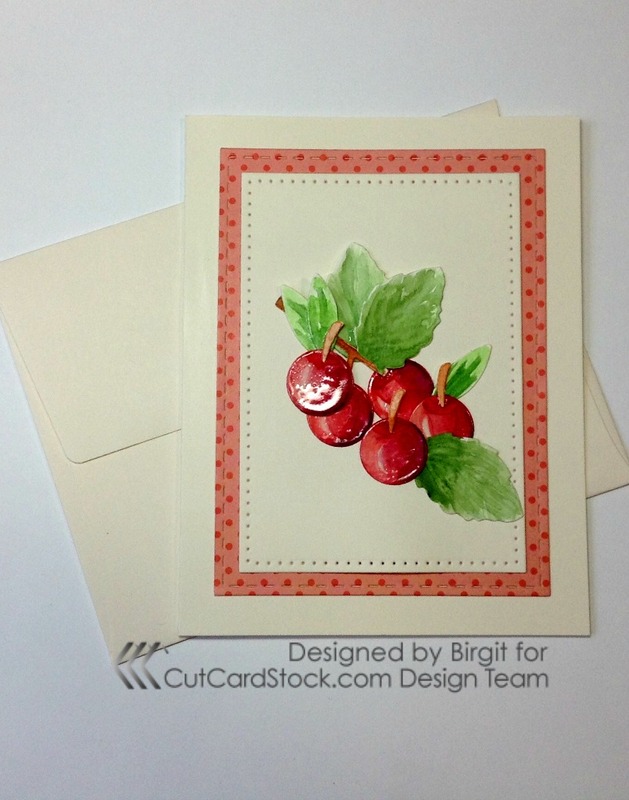 For today's projects I'm using Cougar 80lb Natural A-2 Folded Note Cards. These come all cut, scored and ready to use. 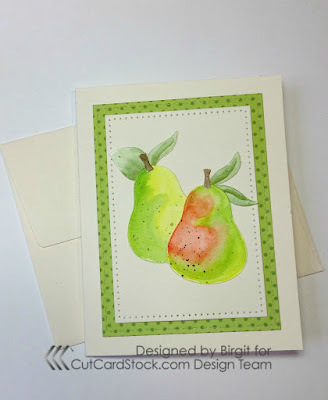 What a great time saver and so handy to have on hand when you need to whip up a card in a jiffy! 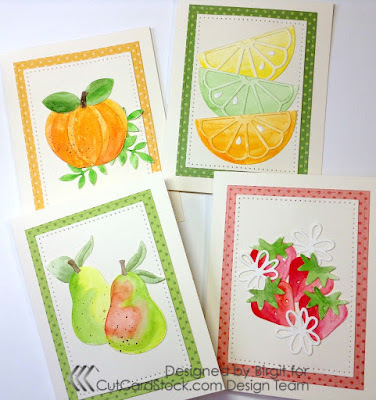 I started by cutting all the fruits out of water colored cardstock and water colored them using Gansai Tambi Water Colors. I used Tombow Mono Multi-Purpose Liquid Glue to assemble the fruits. 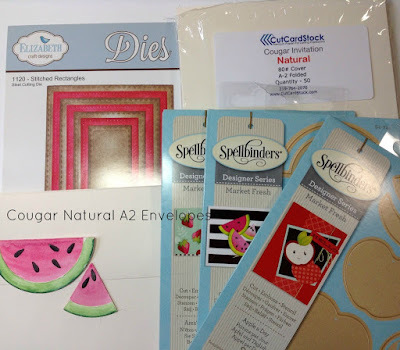 I used stitched rectangle shaped dies to cut a printed paper panel and a smaller panel of Cougar 80lb Natural Cardstock. 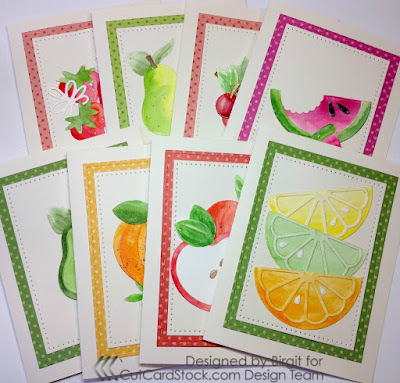 I layered the cards using Score Tape and attached the fruit to the front of each card with Tombow Mono Multi-Purpose Liquid Adhesive. 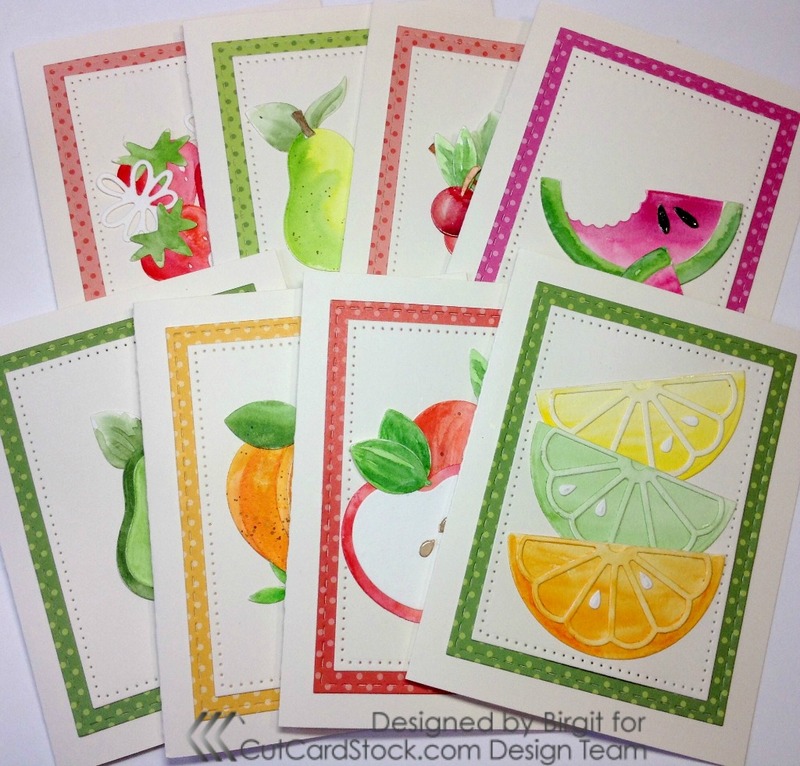 Cougar Natural A-2 Envelopes complete this colorful set of note cards that can be used for any occasion. I hope you enjoyed today's project and will take advantage of the sale this month on all white and ivory cardstock at Cut Cardstock. 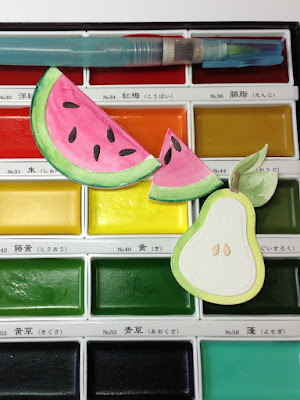 You can find more details about other products I used today on my blog.